Hi, I’m interested in HP 250 G4 Intel Celeron N3050 15.6" Notebook. 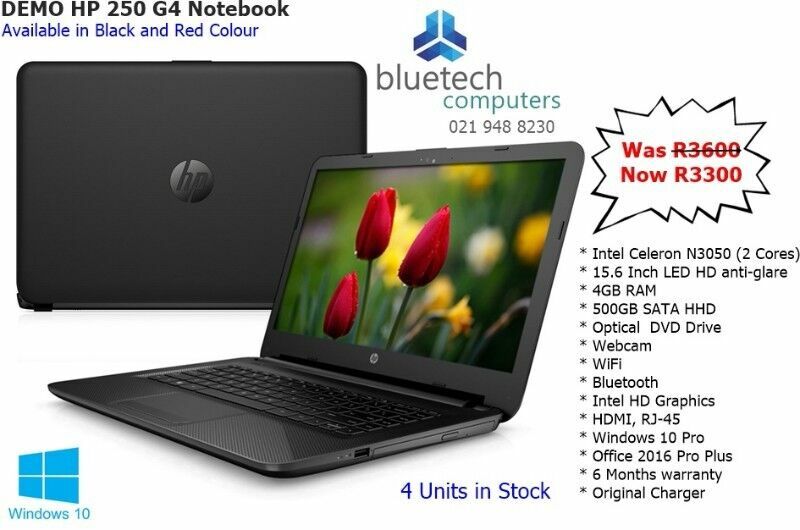 On Special R3300. DEMO stock . Please contact me. Thanks! Machines are all brand new, unfortunately the boxes they were shipped in got damaged.